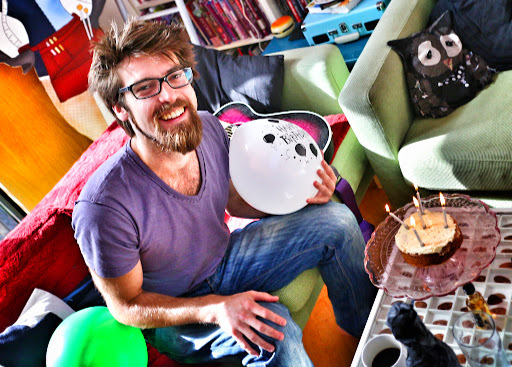 It was Ben's birthday today so we surprised him with cake, beer and balloons this morning. 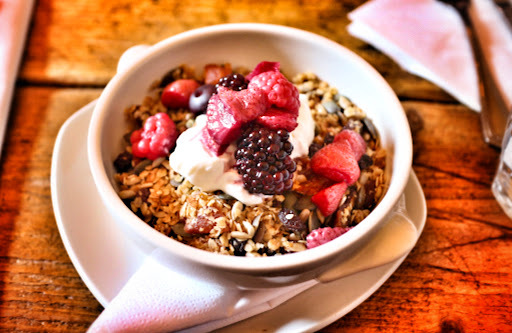 We went for breakfast at Salt Cafe where I had their granola for breakfast again. 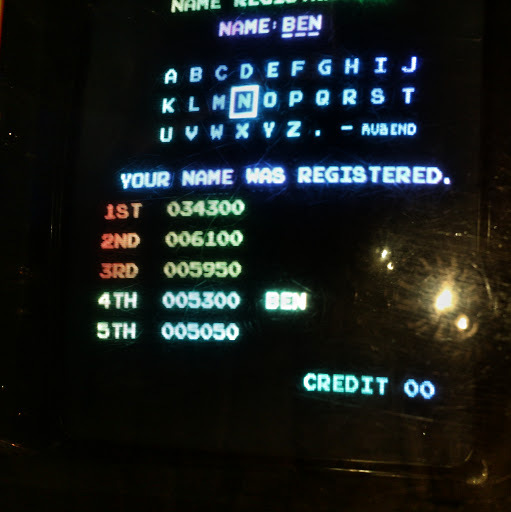 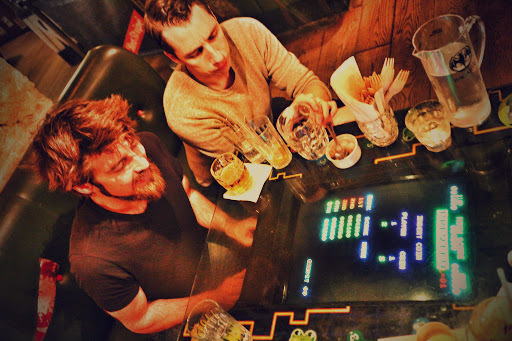 We then headed in to the city and went for a drink at Cabaret Voltaire where Ben was excited to get the high score on their computer game table. 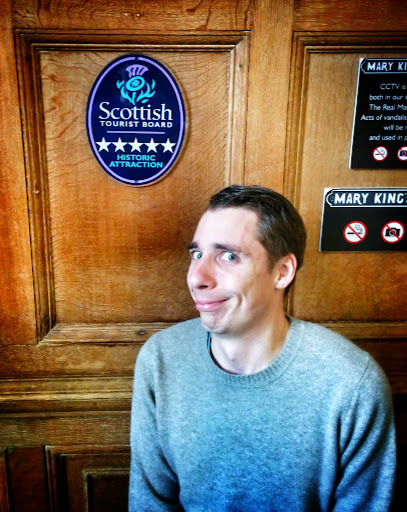 Tom and I had never been down Mary King's Close before, so we decided we'd join everyone else on one their tour. 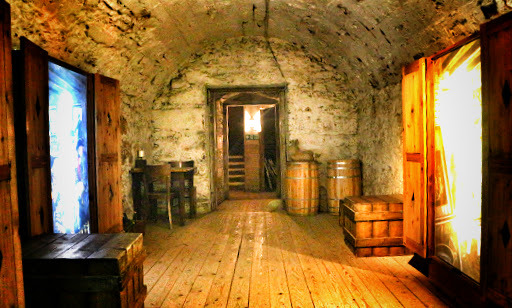 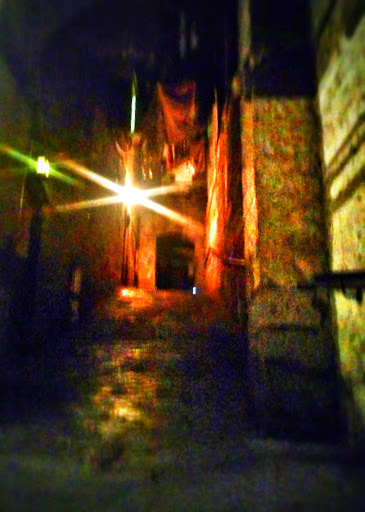 Mary King's Close is an old street which was buried under the city chambers until it was rediscovered after 400 years and reopened as a tourist attraction. 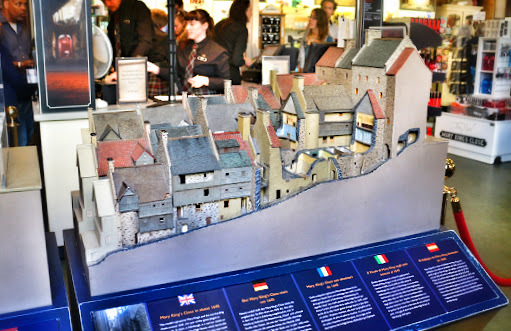 The tour takes you down the close and into a number of houses and buildings, explaining the history behind each of them. 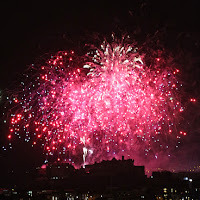 We waved goodbye to Ben, Mel & Dave after the tour and headed home to meet my parents. 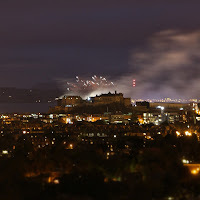 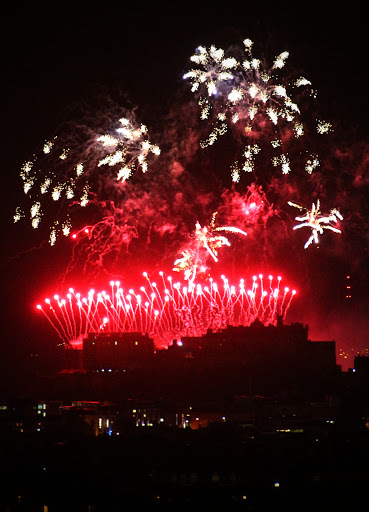 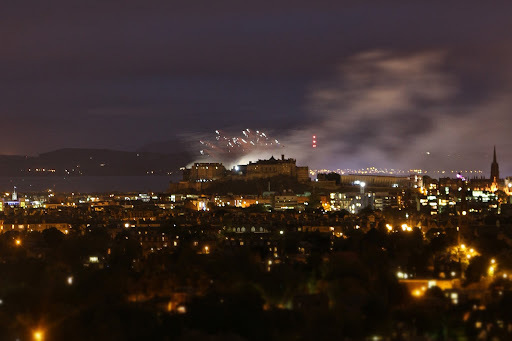 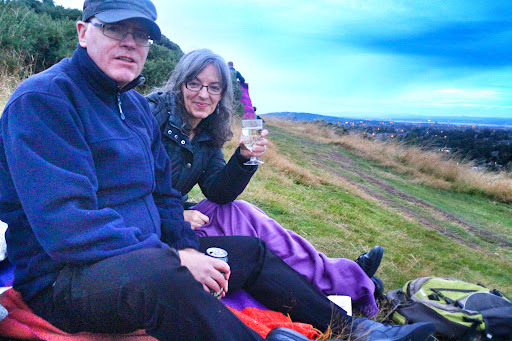 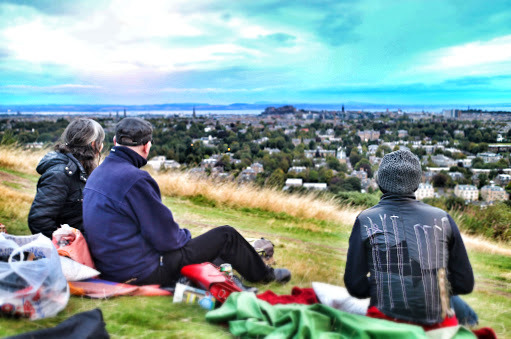 We headed up Blackford Hill in the evening, as it was the perfect spot to watch the End Of Festival Fireworks concert at the castle. 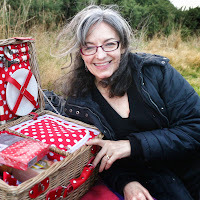 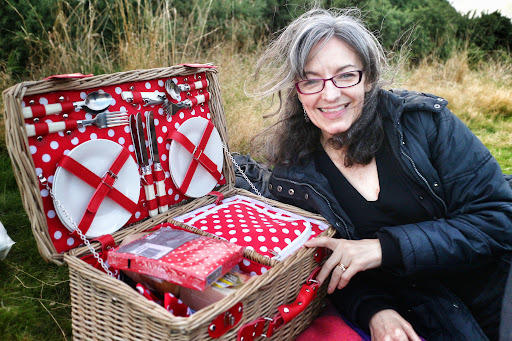 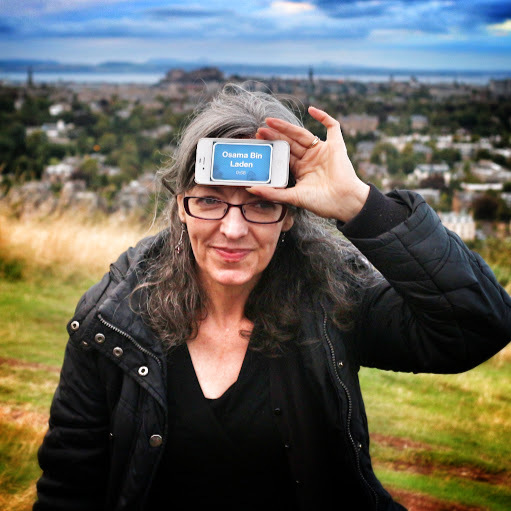 We packed a picnic, prosecco and kept ourselves entertained by playing Heads Up! on the iPhone. 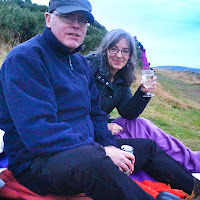 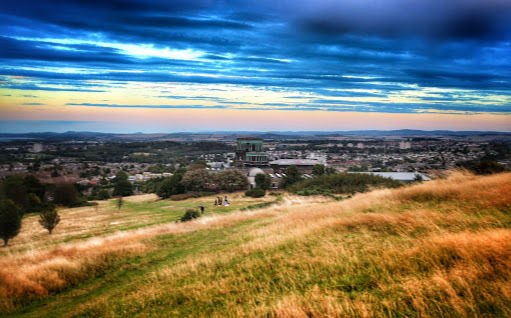 The hill started to busy up as the sun set and we had the perfect spot when the fireworks started. 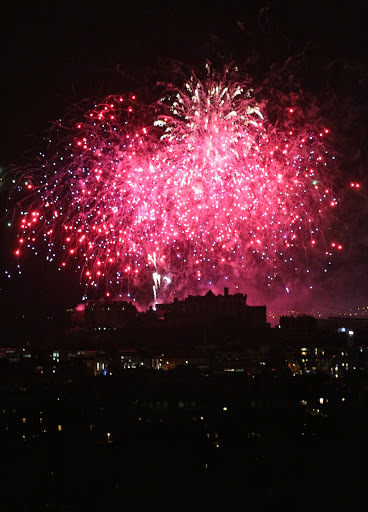 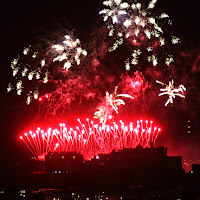 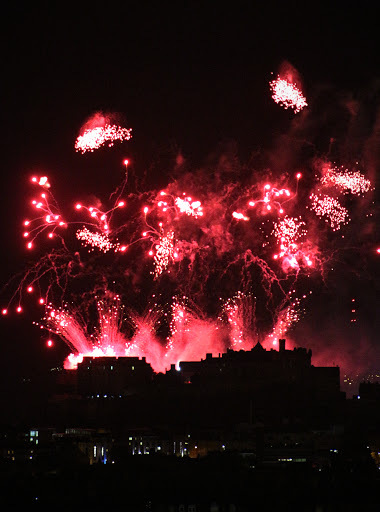 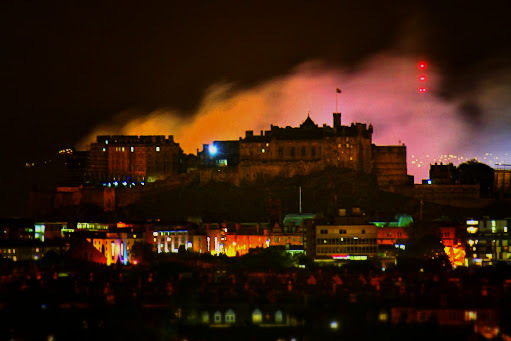 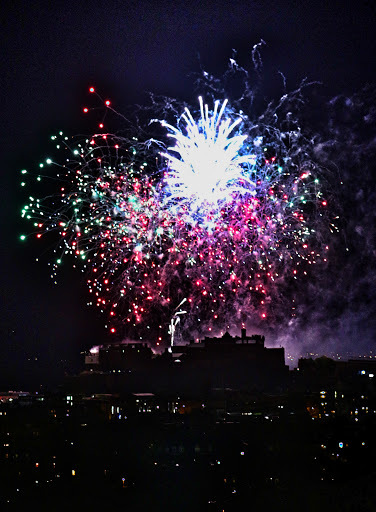 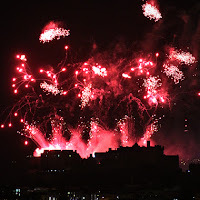 We could see the smoke from the fireworks blowing all the way down the Royal Mile afterwards and the weather held out until the very last firework when it started bucketing down and we were glad Fig was waiting to drive us home.